Self-insured employers often question how to resolve their high value and difficult to conclude claims. The financial expectations and medical needs of the injured employees create complicated issues preventing a claim settlement. Structured settlements can often be the bridge to achieving a settlement when the injured employee will have on-going financial and medical needs. We have received many questions about the benefits of structured settlements and how to achieve a structured settlement. Here are the most frequently asked questions about structured settlements. Q. Exactly what is a structured settlement? A. A structured settlement is financial agreement for a series of periodic payments an injured person receives over a set time period, or over the person’s life time, to settle any legal obligation, including a workers’ compensation claim. Q. Are all payments the same? A. All payments can be the same, but often are flexible and will vary to meet the financial needs of the injured employee. For instance, in addition to biweekly or monthly payments to cover the employee’s on-going loss of income, an initial lump sum to cover transportation or housing needs can be included in the structured settlements. Other variations from the biweekly or monthly payment can be included, for example a future sum for the college tuition of the employee’s child. Q. What about inflation? How does the structured settlement handle the future decline in purchasing power? A. The structure settlement can be structured to increase the periodic payment amounts by a fixed amount on a fixed date(s) in the future. Q. Workers’ compensation indemnity payments are “tax free”. Will the injured employee have to pay income taxes on the periodic payments? A. No. Under the provisions of the Internal Revenue Code Section 104(a)(1), the periodic payments of a structured settlement are income tax free. Q. Why would an employer obligate itself to a set of periodic payments that could last for many years into the future? A. The employer purchases a fixed annuity from a life insurance company to fund the future periodic payments. The life insurance company assumes the responsibility of making all future payments. The employer obligation to make the payments is transferred to the life insurer eliminating the employer’s need to set aside any future reserves for the workers’ compensation claim. Q. What type of workers’ compensation claims benefit from the use of a structured settlement? Any type of injury that leaves the employee permanently and totally disabled or disabled to the point the employee is unable to return to meaningful employment. Q. How do structured settlements account for the medical expenses of an injured employee that could last a life time? A. A separate medical account is set up to cover the employee’s future medical expenses as established by medical actuary. A third party professional administration company oversees the payment of future medical expenses from the account. Q. What about an injured employee who is eligible for Medicare and/or Social Security Disability? How does a structured settlement handle the requirements for a Medicare Set-Aside (MSA) arrangement? A. A structured settlement is highly beneficial for a MSA. A structured settlement for the MSA benefits the employer as it costs less because the MSA benefits from the time value of money. 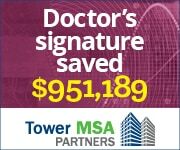 Instead of the third party professional administration company receiving all of the money for the MSA up front, the structured settlement insurer funds the MSA periodically as needed. Q. What information is needed by the structured settlement company before they can quote the cost of the structured settlement? A. There are several factors that come into play in calculating the cost of the structured settlement including the injured employee’s age, the expected life expectancy of the injured employee, the anticipated cost of future medical care and the employee’s need for lump sum payments both at the start of the structured settlement and at future specific dates. Q. How can the employer know the life insurance company will be able to make the periodic payments twenty, thirty or forty years in the future? A. The employer can check the life insurer’s financial strength through the service of A.M. Best, an independent evaluator of the financial strength of insurance companies. We recommend the use of an insurer rated A, or higher, by A. M. Best. Q. What benefits does a structured settlement provide to the injured employee? The structured settlement eliminates many of the financial concerns of the employee by allowing the employee to know what his/her future income will be. The employee can receive payments both for immediate needs and periodic payments timed to meet future anticipated needs. The employee does not have to worry about managing a large amount of money or fluctuations in the equity market or bond market. The employee is provided is a provided a good fixed rate of return on the money invested in the structured settlement. In most cases, the structured settlement provides the employee with more money over the long term than a lump sum settlement paid direct to the employee. The employee/employee’s attorney no longer has to interact with the employer where the relationship may have become strained, but instead will interact with the life insurer who provides the structured settlement. Also, if the employee invests a lump settlement on their own, the employee will be responsible for income taxes on the interest, capital gains or dividends earned by their investment. Q. Are there any other reasons the injured employee would want a structured settlement? A. There are several reasons an employee would prefer a structured settlement over the benefits provided by the workers’ compensation system. Structured settlements give the employee freedom from the restraints of workers’ compensation. The workers’ compensation payments have a time limit in many states (often 400 weeks or 500 weeks) after which the payments cease. Statutory payments in death claims normally cease upon remarriage. Workers’ compensation indemnity payments can end if the employee is retrained for another job and returns to work in another field. Q. The employee is represented by an attorney. How are the plaintiff attorney fees handled? A. The plaintiff attorney fee can be paid as a lump sum settlement or the attorney fees can also be set-up in a structured settlement providing the attorney with a guaranteed source of future income. Q. The closure of the claim through a structured settlement is the major benefit to the employer. Are there other benefits to the employer? A. Yes. A structured settlement can avoid the uncertainty of litigation and end the on-going legal expense. In life time disability claims, the mortality risk and the investment risk is transferred to the life insurer. Also, the cost of funding a Medicare Set-Aside can be reduced through the use of a structured settlement. Q. Other than workers’ compensation claims, are there any other uses for structured settlements?